This is my personal playground. I have built a site where I can display my personal hobbies and other things that may (or may not) be of public interest. My hobbies include music, running, movies, festivals, computers and beers. 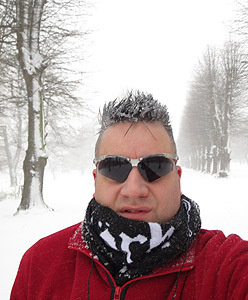 I am 49 years old and I live in Valby(Copenhagen), Denmark. I am a certified MCSD .NET (Microsoft Certified Solution Developer in .NET technologies) including Web, Windows and SQL server. I currently work as an application developer.